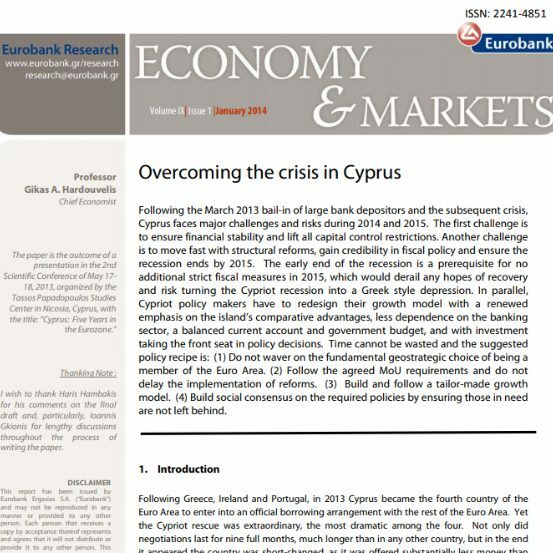 Following the March 2013 bail-in of large bank depositors and the subsequent crisis, Cyprus faces major challenges and risks during 2014 and 2015. The first challenge is to ensure financial stability and lift all capital control restrictions. Another challenge is to move fast with structural reforms, gain credibility in fiscal policy and ensure the recession ends by 2015. 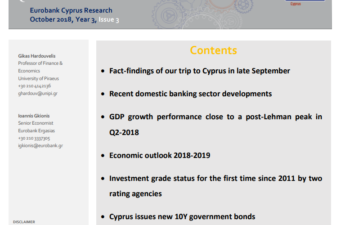 The early end of the recession is a prerequisite for no additional strict fiscal measures in 2015, which would derail any hopes of recovery and risk turning the Cypriot recession into a Greek style depression. 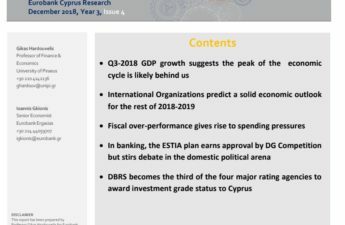 In parallel, Cypriot policy makers have to redesign their growth model with a renewed emphasis on the island’s comparative advantages, less dependence on the banking sector, a balanced current account and government budget, and with investment taking the front seat in policy decisions. 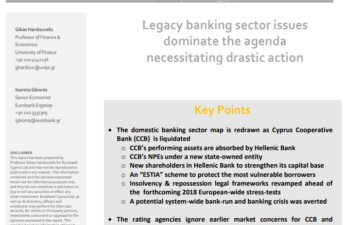 Time cannot be wasted and the suggested policy recipe is: (1) Do not waver on the fundamental geostrategic choice of being a member of the Euro Area. (2) Follow the agreed MoU requirements and do not delay the implementation of reforms. (3) Build and follow a tailor-made growth model. (4) Build social consensus on the required policies by ensuring those in need are not left behind.